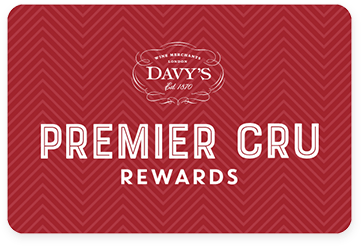 Premier Cru Rewards - Purchase this today and earn 101.85 points to redeem for free wine and gifts. Château Rocher Calon is situated on some of the best soils of Montagne St-Emilion, which directly borders renowned St Emilion, to the south. Made with meticulous attention to detail, employing the highest quality winemaking practices, this Merlot dominated blend achieves much of the silky softness and elegance of its more illustrious neighbour, but for a much lower price tag. Elegant and medium to full bodied with robust red berry and cherry aromas follow through to blackberries and liquorice on the palate. Château Rocher Calon is located on some of the best soils of Montagne Saint Emilion. It all started with Pierre Lagardere, who returning home after WW1, bought a hectare of land in Pomerol thus beginning the family tradition of winemaking. Over the next four generations the family increased their acreage through the acquisition of new vineyards throughout the Libournais and recently invested in the cellar – boasting temperature-controlled ageing cellars, pneumatic wine press and micro-oxygenation equipment. A qualitative approach to viticulture is standard, with green harvesting, leaf-removals and hand picking over several passes the norm. View our selection. The 22 hectares of vineyard are mainly planted with Merlot and some Cabernet Franc, with an average of 35 years old vine. Part of the wine spends a small amount of time in oak, in order to to soften the texture.